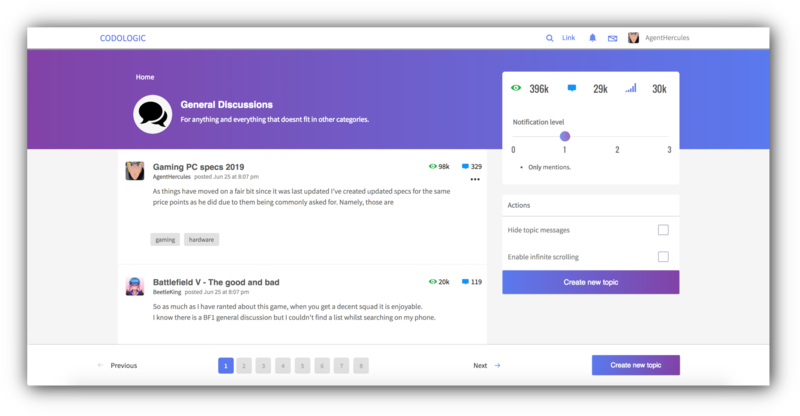 Say good bye to the old, cluttered and cumbersome forum interfaces. Our Forum software has a fresh UI which is simple, clean and impressive with a fast and secure engine underneath. No more separate apps or websites for mobile devices. Codoforum provides a free layout structure that is fully responsive, which can not only spread throughout large screens but also squeeze into tiny devices. Our WYSIWYG shows live preview as you type. It recognizes Markdown as well as BBCode if you are coming from another forum script. Images and other rich content can be easily embedded, files can be attached and code blocks are prettified. Our discussion software integrates with your existing website's login system and it provides name and avatar synchronization too. 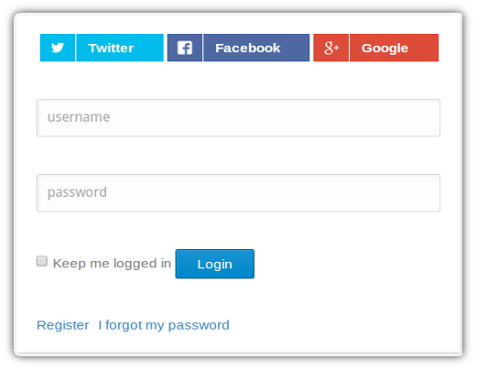 Now you don't need a separate login for your website and your forum software. It also supports the most popular social logins, reducing the time-to-post and increasing the likelihood of engaging a visitor. User can mention each other in posts by typing an "@" before the username. Mentioned users are instantly notified by desktop notifications or by e-mail if they are offline. This way they can quickly jump into the discussion. Do you feel forum categories are too restrictive? or your forum is too vast to be categorized? 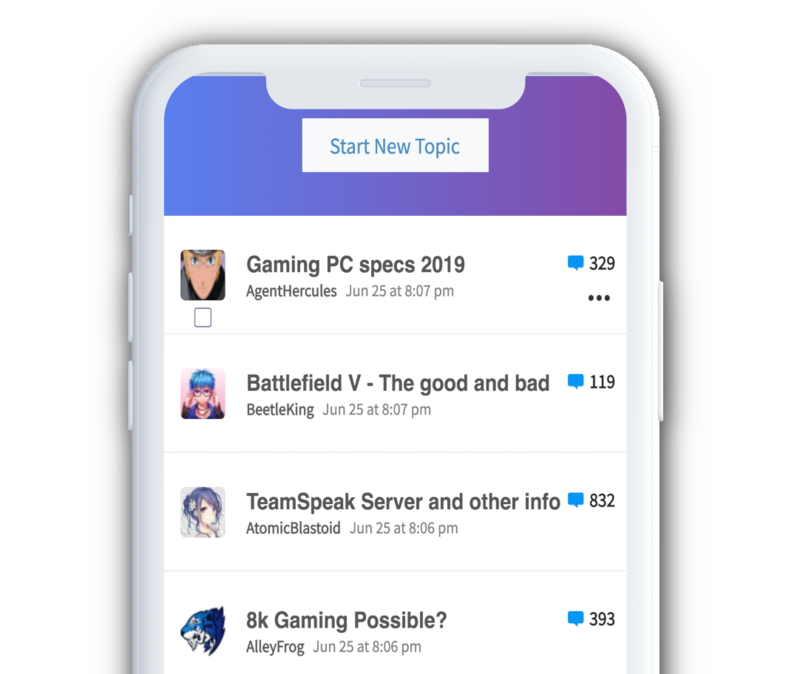 Tags allow a topic to be in multiple free categories. For example, a "car" can be a 4 wheeler and red color at the same time. Your visitors don't visit the forum often? but you still want to send them a gist of the interesting things that happened in the forum ? It is now possible with the daily and weekly digest which sends your visitor a beautifully formated mail that contains all the interesting events that happened in their absence and make them come back for more. The notification system provides you live updates as and when new replies are posted or your name is mentioned. Not on the same tab or window? No problem, with desktop notifications, we will send you notifications no matter which window you are on. Tired of those confusing subscription systems? With Codoforum, you can set your subscriptions and notification level by simply moving the slider. Can't remember which topics you have subscribed to? No problem, Codoforum will list all your subscriptions with their respective notification levels for you. 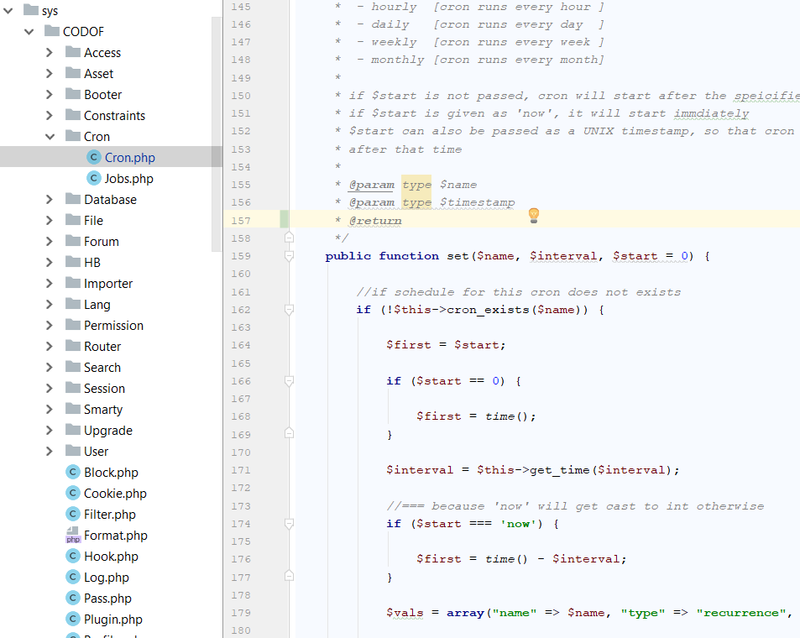 The code is clean, well documented and extensible. 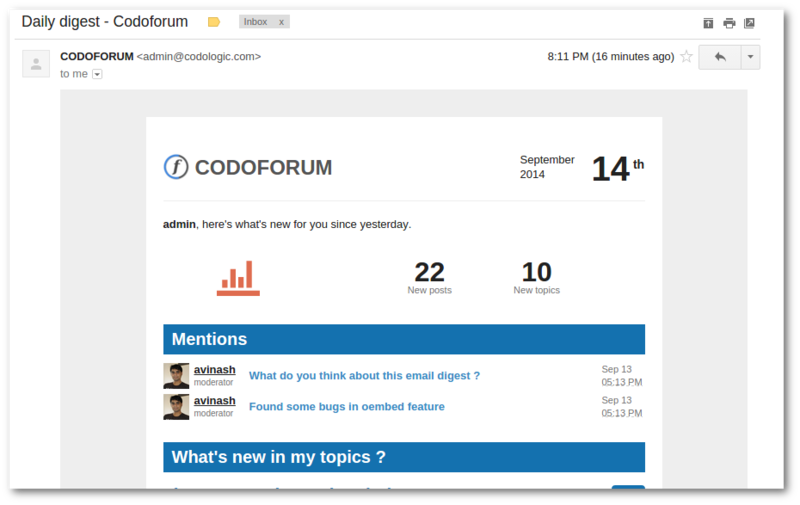 Codoforum is built with PHP using the latest coding patterns and is fully compliant with the new PSR standards. The installation is easier than Wordpress!